Top 5 Designer Dog Carriers: Hottest Styles from the NEW Collection! People are pampering their pets more than ever before. Today, travel with a pet isn’t just about convenience. It’s about making sure your dog is comfortable and well taken care of no matter where they may go. For that reason, there are many good designer dog carriers from which to make your selection. Designer pet carriers are more than just ‘traditional’ carriers with a higher price tag. They typically have unique features that help them to stand out from the competition. These features ensure that your four-legged friend can travel in style and comfort. Plus, they look great! One of the main reasons people are turning toward such carriers is because we’re ‘on the go’ more than ever, and we want to be able to take our pets with us. They are a part of the family and giving them the best is essential. Doing it in style adds to the experience. We all strive to look our best, so why not offer the same to our pets? Whether you’re taking your dog with you to the store or to get groomed, make sure they feel like they’re living a life of luxury. Any of the designer carriers for small dogs listed below will help to keep them safe and looking great, no matter where you go. 1 What Are the Top 5 Designer Dog Carriers? 1.5.1 Which Is the Best Designer Pet Carrier for My Dog? What Are the Top 5 Designer Dog Carriers? Designer carriers for dogs stand out based on the features they have and the quality of the design. They should be made of robust and durable material. This allows your dog to remain safe and comfortable under many types of conditions. Safety features should always be a key component in your dog’s carrier. The more safety features, the better. They will allow you peace of mind no matter where you go. Finally, you should look for ‘extras’ that will ensure your dog’s comfort. Some pets get more anxious with travel than others. Making sure they are always comfortable within their carrier can make the experience easier for everyone. It may also make them more willing to go long distances and travel more often, so you can take your dog with you almost wherever you go! Let’s take a look at some of the most popular designer pet carriers, and why they are top choices for your furry friend to travel with you in style. For some people, having a dog carrier that shows your dog is as stylish as their owner is essential. This two-tone, MG Collection carrier does just that. You’ll turn heads whenever you carry your dog around, whether you’re running errands or going on a longer trip. It will keep your dog looking great in the lap of luxury while making it more convenient than ever for you to travel with them safely. Smaller dogs tend to be easier to travel with simply because they take up less room. If you already know you want to take your dog with you everywhere you go, why not offer them a luxurious experience in the process? This bag will make everyone believe you’re toting around a designer handbag. In reality, you’re providing a safe, comfortable, and stylish environment for your four-legged friend. 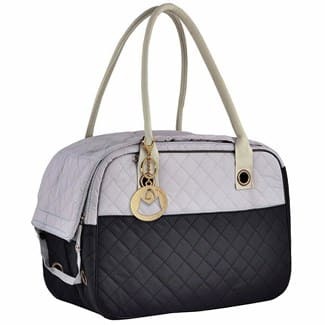 Click the Price of the MG Collection Soft-Sided Carrier on Amazon! There are dozens of pet carriers that work for air travel. Unfortunately, not all of them are as stylish as they are functional. The Argo carrier helps to bridge the gap between function and fashion with this well-designed bag. Just because you’re going on a longer trip with your dog doesn’t mean they shouldn’t be comfortable and stylish. 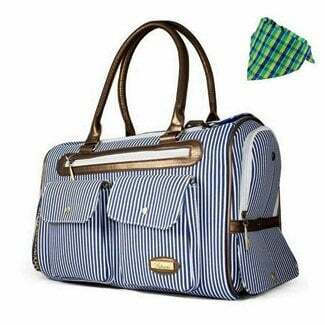 Not only does this bag look great, but it is airline-approved and meets all flight standards. Of course, it’s always a good idea to find out what the specific standards are on the airline you’re flying. Some companies may have different guidelines than others. Double zipper top for easy entry. Your pet can even ‘pop’ their head out of the top from time to time for extra air, and to take stock of their surroundings. This can help with anxiety and keep them calm. Unlike many pet carriers designed for air travel, this one gives you and your pet a stylish edge while still keeping them safe and comfortable. Plus, it’s easy to carry around. You don’t have to worry about rolling your carrier around like a suitcase. You can wear it over your shoulder comfortably. Your dog will love being close to you whenever they’re in this comfortable and durable bag. Check the Price of the Argo by Teafco Pet Carrier on Amazon! Just because you live an active lifestyle doesn’t mean your pet has to have a drab carrier! The HOODDEAL Fashion Dog Carrier is meant for small dogs, and even cats, who are frequently on the go with their owners. This carrier is fashionable and sleek, but it can be used for hiking with your dog. It contains durable straps that make it easy to carry with you through the trails. If you have a smaller dog who has trouble keeping up on long hikes, they can still come with you and look great doing it. Several convenient pockets for personal belongings – great for longer hikes! The bag itself holds up to a 16-pound dog. It’s important to measure your dog adequately to make sure they’ll fit comfortably. This is especially true if you plan on carrying them through longer treks and hikes. It may be tempting to bring your larger dog along. But, they will likely be harder to carry, and won’t be as safe in the bag as a smaller animal. If you’ve invested quite a bit into your own trail gear, why not do the same for your family pet? They’ll love being able to go on ‘adventures’ with you, especially if they haven’t been able to in the past. This bag adds convenience to any trip with your dog. Check the Price of the HOODDEAL Fashion Dog Carrier on Amazon! Sometimes, simplicity is better, even when you’re considering designer options. That saying rings true for this MG Collection Mesh-Sided Dog Carrier. It has all the functionality of a tote bag, with a lot more style. 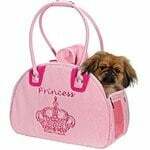 This bag is considered to be a soft-sided dog carrier, so it will keep your dog comfortable and secure. Its unique feature is the mesh siding on all sides of the tote. It’s easy for dogs to get overheated or anxious when they are in an enclosed space. The mesh siding allows for constant breathability. It also gives your pet the chance to look at their surroundings and be comforted, knowing they are always by your side. Two side pockets for personal belongings or treats, supplies, etc. If you want the functionality of a tote bag with the style of a designer carrier, look no further. This bag offers both in one convenient package. MG makes multiple designer dog carriers, and they have become a name you can trust in this particular industry. The bag even includes a small charm that you can attach to show off the brand name. Check the Price of the MG Collection Dog Carrier on Amazon! 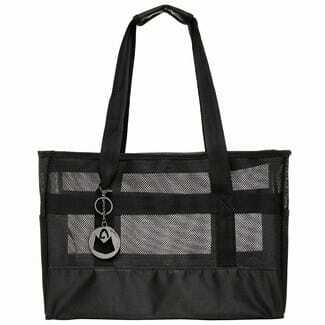 This versatile carrier can be used for air travel, on a road trip, or even for quick visits to the vet or groomers. It’s lightweight, easy to use, and your pet will feel safe and comfortable in the Sherpa Original Deluxe Pet Carrier. It comes in a sleek black color that is timeless and traditional but still looks great. The biggest feature to consider when it comes to Sherpa carriers is that they are designed with your pet’s safety in mind. They are highly recommended by organizations like the ASPCA and Humane Society. With different sizes to choose from (up to a 22lb dog), you can make sure your pet stays safe and has enough room in the Sherpa carrier you choose. Leak-proof, with easy to clean fabric. This comes in handy when ‘accidents’ occur from pets who experience travel anxiety. Because of the sizes and versatility of this bag, it’s great for both dogs and cats. Many people use it on longer trips, too, because it’s so comfortable. 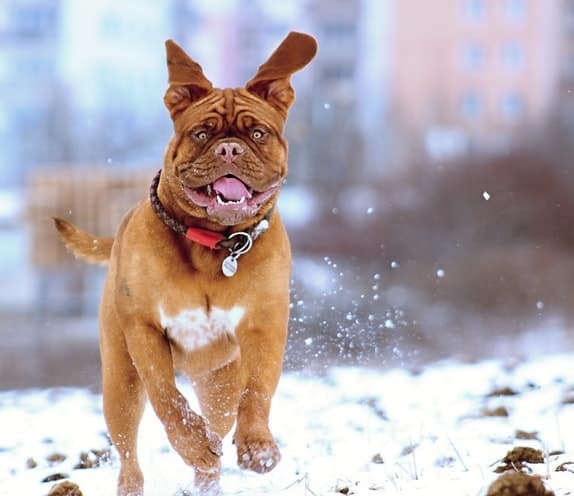 So, whether you’re heading five minutes down the road or spending a few hours in the air, your pet can remain safe and happy. It’s hard to go wrong when so many notable organizations back up a product. That’s why the Sherpa Original Deluxe Pet Carrier makes this list. Which Is the Best Designer Pet Carrier for My Dog? All of the best designer dog carriers have unique features. They are all designed to be safe and protect your canine while allowing them to be comfortable and stylish. You know your furry friend’s personality better than anyone else. Choosing the right carrier for them will ultimately be your choice, based on what you think they would benefit from the most. One important rule to keep in mind is to make sure you choose a size that will give them enough room. Even if a carrier suggests it can hold up to a certain weight limit, you should still be cautious. Allow an extra five pounds. That will ensure your dog can fit easily into the carrier, and you’ll be able to carry it safely. Most designer carriers are for smaller dogs. This ensures the bags won’t break and you won’t have to struggle to tote them around. Traveling with your dog is like traveling with a member of the family. Most of these carriers can also be used for cats. No matter what type of small pet you have, we know they are important to you. It’s perfectly understandable to want the best for them. 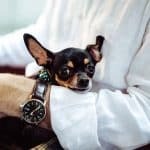 The carriers listed here are safe products you can depend on, and they can add a touch of class and style to your pet’s travel habits. In fact, they may encourage you to travel, even more, knowing you can bring your furry family member with you wherever you go!